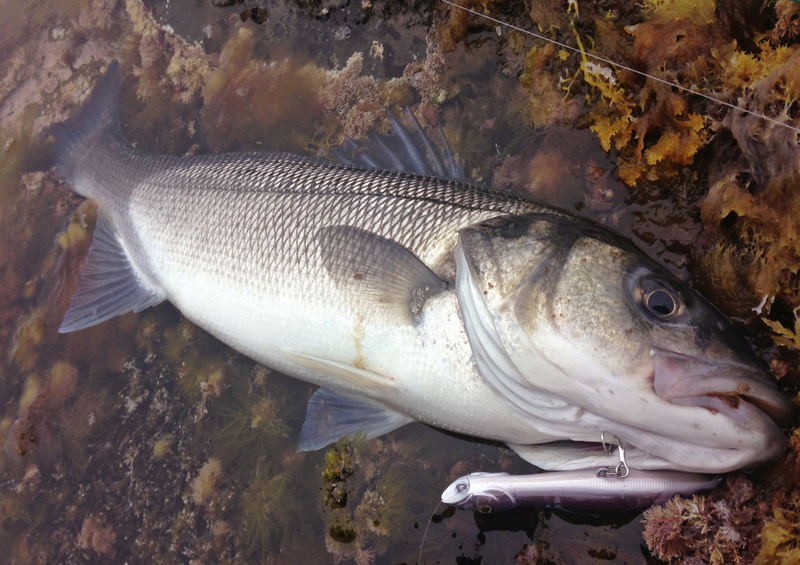 So if you read my previous post you know I hooked a small Bass while wrasse fishing in Kimmeridge Bay and it changed my perspective on things. It was time for a lure change. Now, I was fishing with my Hearty Rise UL - rated to 7g - but I've always thought it could handle a bit more - typical of French rods in my opinion. So it was with absolutely no intrepidation that I tied on a newly purchased, 11g Patchinko - colour 500G. 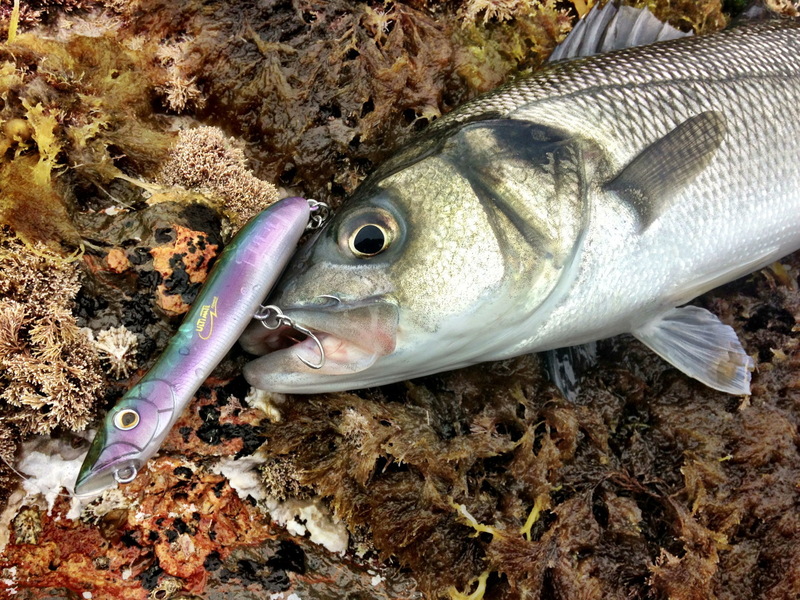 Slow, precise casting saw the lure fly miles and as I started to fish, a sea mist rolled in and the sea flattened. It was spookily quiet... But on my second cast I had success. The little Bass - maybe 2lb - was great fun on ultralight. I was really chuffed when I guided it onto the ledge for a quick photo. I was more focused now and wanted another. When a lure angler arrived silently through the mist and said a friendly 'hello' beside me, I nearly jumped out my skin! And then as I settled into my rhythm again - BOOM - another fantastic hit on the surface. Drag started screaming and I had to adjust to get back in control. It was a better fish this time. After a spirited fight I landed a Bass of around 3 and a half pound. Again, not a massive fish but immense fun on the light tackle. A really great session and I can't wait to get back for another go.